TERMAC: 55 Years and Counting – How Do We Do It? People are surprised when a commercial business is still running – and still growing – after more than half a century. 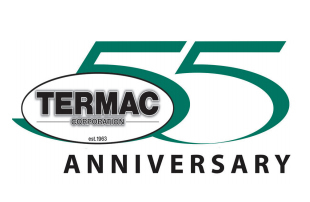 While there are no hard and fast rules for ensuring longevity, TERMAC, the O’Reilly family business, has lasted long enough to celebrate its 55th anniversary serving commercial kitchens by fostering a personal relationship with its customers and building trust. At TERMAC, customer service has been the focus since founder Terence O’Reilly Sr. started the business that serves the cleaning and sanitation needs of the food service, hospitality and health care industries. TERMAC has flourished because of its commitment to personal service. The O’Reilly sons, Terence Jr. and Sean, continue the legacy from the dishwashing service company’s beginnings in 1963 with one van and a pager. Today we run 60 service vehicles and TERMAC has expanded its services to thousands of commercial kitchens in Pennsylvania, Delaware, New Jersey and the surrounding area. 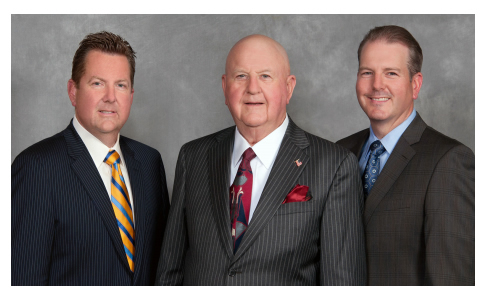 Even in the last five years since our 50th anniversary, TERMAC has acquired the metal fabrication company AllPro, and the fire suppression company Universal Fire Protection, adding to its Filter Man and GTO Grease Trap Cleaning companies. 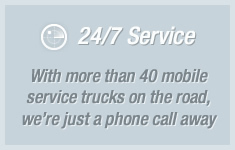 Despite this growth, TERMAC’s intensive “24/7” customer support has been a constant. It’s a necessity in our field because restaurant challenges often occur after regular hours and on weekends. This is when you show who you are. The company began in northeast Philadelphia and has a satellite location in Wind Gap (Lehigh Valley), Pa. Recently we added facilities in Nutley, Nj. and Laurel, Md. The Nutley, Nj. warehouse, supports TERMAC and Filter Man services and the expansion of GTO Grease Trap Services into New York state. The Laurel, Md. facility, offers Filter Man, GTO Grease Trap Services and Universal Fire Protection services to Maryland, Washington, D.C. and Virginia. It’s been a remarkable journey, starting with a vision and understanding the need for quality commercial dish washing machines and cleaning supplies. But there was also a valuable lesson imparted to the next generation: that a business that serves its customers should be synonymous with customer service.